"Lux" textured dress by Cynthia Steffe. 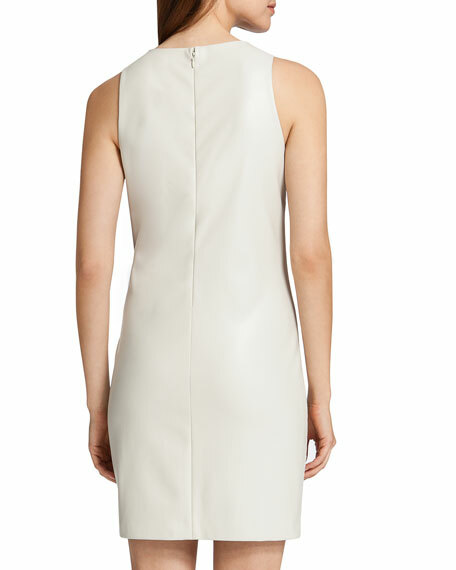 Sleeveless with wide shoulder coverage. Fit note: Model is 5'10"/177cm and wears size US 4. Cynthia Steffe, one of America's leading contemporary dress brands, is at its core feminine and flirty, while simultaneously pushing the boundaries of modern fashion. From day dresses to cocktail dresses, shirtdresses to fitted sheaths, Cynthia Steffe creations are known for fun embellishments. Based in New York, New York and founded in 1989, Cynthia Steffe now reaches women worldwide.